The Cowboys Just Didn’t Look Themselves Against Denver. With A Strong Running Game And Clock Management, The Broncos Took A Page Out Of The Cowboys’ Playbook And Made Dallas Look Like Crap. Man. It just wasn’t our day. Going into this game, we knew the Denver Broncos defense would be a major test for this Cowboys team, sure. But I don’t think anybody saw such a horrendous game happening. Maybe we should’ve seen this coming, though. After all, with yesterday’s loss, the Cowboys have now failed to win a game in The Mile High City since 1992. Fun fact: Zeke and Dak weren’t even born when that last Cowboys win in Denver came. The two didn’t really look alive yesterday, either, as the offense was stalled all game long. Prescott, now in his second year in the league, was straight manhandled throughout the game. Though both teams each had two sacks on the opposing quarterback over the course of this game, the pressure Dak was constantly under from the swarming Broncs defense would sure make you think otherwise. That didn’t exactly do much to improve the inaccurate passing he showed in Week 1, and combined with a rush defense that held Zeke to just nine yards on eight carries, it took the Cowboys out of their game plan in a hurry. Instead, the Cowboys were forced to rely on a dink-and-dunk offense that just doesn’t represent what this team was built to do. That change led to Dak throwing the ball 50 times in this game, and completing 30 of those passes, most for short yardage. Dez Bryant didn’t do much to help matters, and in turn the two looked about as pedestrian as possible against the Broncos’ stellar secondary. With Zeke just looking horrible on this day — Tom Brady, who runs a lightning fast 5.28 40-yard dash, had as many rushing yards as Elliott did on Sunday — it was the team’s only option, and it led to a bevy of third-and-longs, which the Cowboys just couldn’t handle. In the end, the team only converted on three out of its 14 third downs — a stat bad enough to cover the 102-yard pick six Dak gave the Broncos to end the game when things were already lost. As for Zeke, I’m not sure what’s up. Was the defense getting to him? Is it the surmounting pressure from his ongoing domestic violence case? No one knows. But, fact remains, he looked out of sync, to say the least. The whole team did. As a spectator, I kept hoping the hour-long rain delay in the first quarter would help the team to settle down from its game-opening jitters and get back into go mode. Wrong. Our offensive play calling looked as if we were scared to challenge the Broncos. Really, the only light to shine on the offense on Sunday was the fact 15-year veteran Jason Witten left the game with 1102 career catches, putting him fourth all-time in NFL history. He also became only the second tight-end in NFL history — and the first in Cowboys history — to surpass 12,000 receiving yards. No doubt he’ll be headed to Canton one day. I just hope we can send him off with at least one championship ring. Yesterday’s offensive struggles aside, I’m not sure this year’s defense has what it takes to get the team to that level. Sunday proved that this team’s Week 1 defense effort was a bit of a fluke. 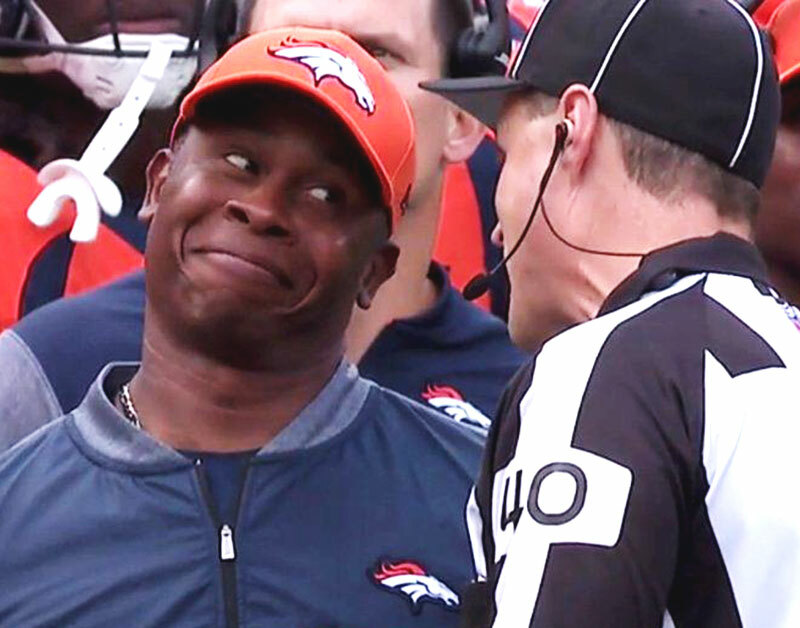 The Broncos’ first drive of the game was for 78 yards and ended in a TD, and things didn’t ease up from there — something clearly evident by the 42-17 score. Broncos quarterback Trevor Siemian didn’t necessarily light things up with his 202 passing yards, but our defense’s mistakes definitely helped them run up the score. Rookie defensive back Jourdan Lewis made his NFL debut with an interception that would set up a Jason Witten touchdown, but beyond that, the Denver offense had its way with us, tallying 178 rushing yards and controlling the clock for a longer period than we would have liked. The bright side of it all is that this was only Week 2. Dallas should be able to regroup and bounce back from this one. Me, personally? I don’t feel like this was foreshadowing for the rest of the season. You can’t win them all unless you’re the ’72 Dolphins. Here’s hoping the team rights the ship when it heads to Arizona to take on the Cardinals on Monday Night Football next week. Previous ArticleGoldLink Was The Real Deal On Friday At Trees. Next ArticleThings To Do In Dallas On Tuesday, September 19.